Health professionals from across Canada are gathered in Ottawa to discuss a growing, urgent health crisis — opioid addiction, overdose and death. One in eight — Deaths of Ontarians 25 to 34 years in 2010 related to opioids. 100 — Number of times fentanyl is more powerful than morphine. 488 — Number of illicit drug deaths in British Columbia as of the end of August 2016, according to the coroner, roughly 61 deaths a month. 655 — Number of fentanyl-related deaths in Canada between 2009 and 2014, according to the Canadian Centre on Substance Abuse. 800 — Number of illicit drug overdose deaths expected in British Columbia in 2016, half of which are expected to involve fentanyl. Premier Christy Clark says unless the federal government declares a national public health emergency in response to the growing number of opioid-related deaths in this country, the crisis will only get worse. But Clark said unless the federal government steps up and declares a national public health emergency, the crisis will spread across the country. “If we don’t try and nip it in the bud — and it’s probably well past that already in British Columbia — it’s going to become an unstoppable plague in this country,” said Clark. Canada should declare a national public health emergency over its deadly opioid crisis, health care experts urged Friday as the perils of addiction, overdose and death came under the microscope in Ottawa. 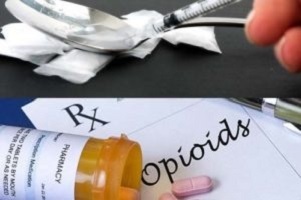 The country with the second-highest per capita prescription drug rates in the world now faces a situation so dire it demands a response at the highest levels of government, said Dr. David Juurlink, head of pharmacology and toxicology at Toronto’s Sunnybrook Health Sciences Centre.